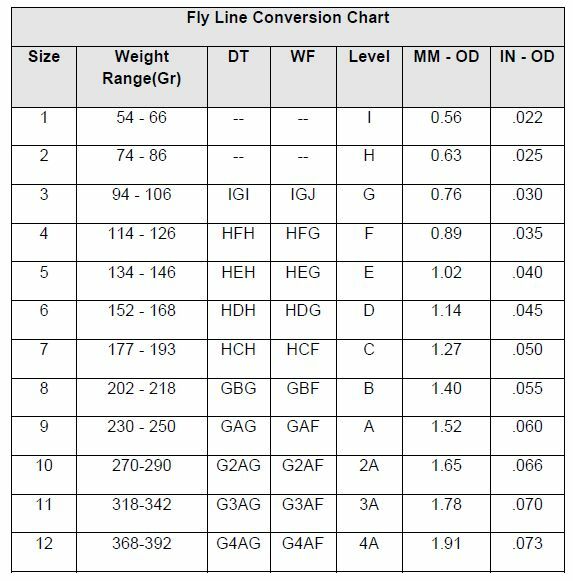 1) This table will get you started on the road to the right line but you can't transfer from a diameter-based system to a weight-based system when you have all the differing variables of materials, tapers, and construction methods. Thus, an HDH Nylon oiled line of 1955 vintage would weigh less than a silk HDH oiled line - different weigh to the core material. Also, if the line were pre-1962 and plastic-coated, it would weigh less than an oiled line. Then there is the matter of the oil/resins used and how tight the braiding is. Then the taper. HCH just tells you the tip diameter and the belly diameter; however, each maker used different front tapers - one might be four feet long, another twelve feet long. Naturally, considering them both as of equal weight in the first thirty feet (less level tip) which is the AFTMA standard is unlikely to be helpful. Weight forward tapers differed even more dramatically - one GBF would have a twelve foot belly, another thirty foot belly. I'll keep my guns, freedom, and money. You can keep "The Change".